This will be my last post of this blog, which ends one era of my design journey and begins a new one. It’s a bold step forward that took focus and enduring many setbacks along the way, but I’m joyous to announce it is finally here. I have launched my own retail website, offering my handmade wears to the world at MissyMoody.com. 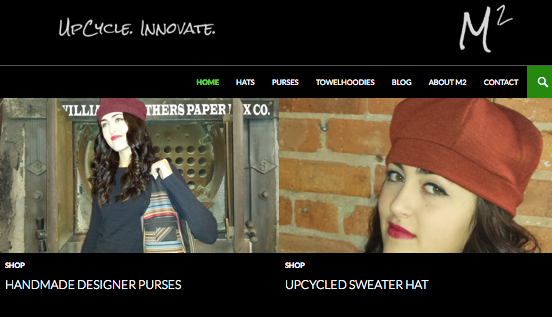 The debut of my new line, which I’m calling M2, features upcycled purses, hats, t-shirts. I will continue blogging and sharing insights at my new website upcycle designer blog. There I tell the story of why I chose a art gallery to debut my . Hope to hear from you at the new site of on my Twitter.